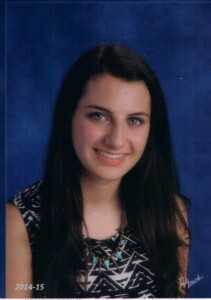 Hannah Rosenthal is a 10th grade student at Smithtown High School West, in Smithtown, NY. She is a member of the English Honor Society, Math Honor Society, Tri-M Music Honor Society, Academic QuizBowl, Math Team, Chamber Orchestra, and she is Captain of her school’s Science Olympiads Team. She is also an accomplished violinist and a member of the Girl’s Track and Field Team. Hannah heard about the Writing for Peace Contest from her World History Teacher, Christina Cone. She was inspired to research the topic of the treatment of Jews during the Black Death after learning about it in class. She is passionate about learning, especially science, and she aspires to become a doctor. She enjoys reading, playing the violin, and running. This is a truly fascinating essay about a historical phenomenon that I had never known about. Your research is meticulous, and your prose is deft and assured. I was especially impressed by the ways in which you were able to link the persecution of the Jews during the Black Death to the larger crisis of prejudice that still affects so many precincts of the planet. Great job. Hannah’s winning essay will be featured in our 2016 edition of DoveTales, An International Journal of the Arts.